Bang Zoom Crazy…Hello follows the recent announcement about the band’s forthcoming induction into the Rock And Roll Hall Of Fame. The long-awaited news celebrates the pioneering sound that has led to sales in excess of 20 MILLION and more than 40 international GOLD and PLATINUM certifications for their multi-award winning back catalogue. Cheap Trick’s music has also been featured on more than 20 major feature film soundtracks. 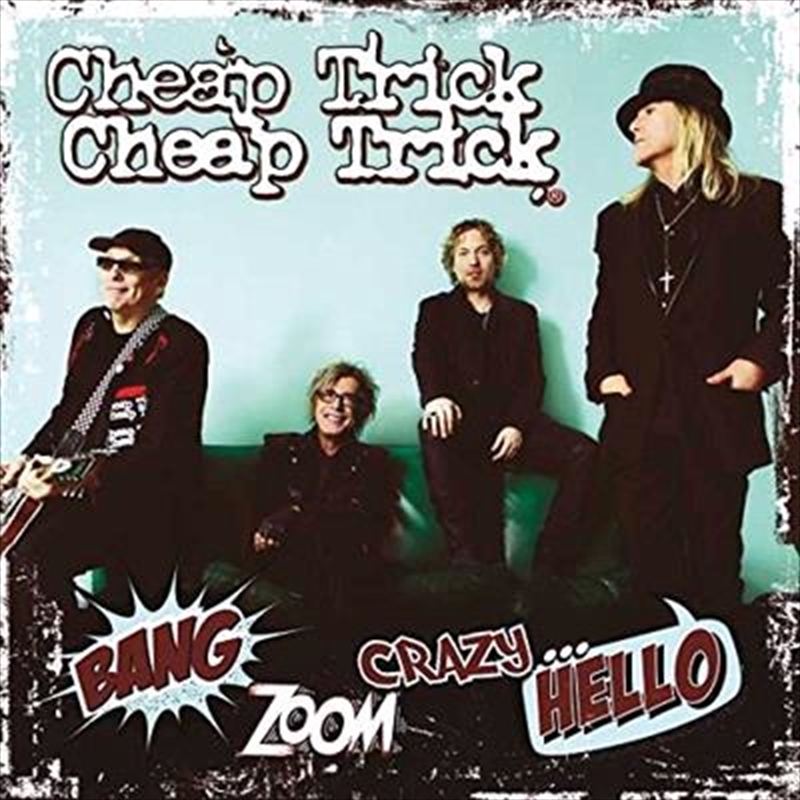 Now into their fourth decade of recording, Bang Zoom Crazy…Hello marks Cheap Trick’s 17th studio album and was produced by GRAMMY award-winning producer Julian Raymond. Firmly cemented as one of the most important bands in music history, the quartet will continue their reign as the top progenitors of power-pop through 2016 and beyond with the release of Bang Zoom Crazy…Hello. Cheap Trick are an indisputable American institution, beloved around the globe since 1974 for their instantly identifiable, hugely influential, brand of pop rock ‘n’ roll. The band – Robin Zander (vocals, rhythm guitar), Rick Nielsen (lead guitar), Tom Petersson (bass guitar), and Daxx Nielsen (drums) – are truly one-of-a-kind pioneers with an unparalleled streak of certifiably classic tunes such as “Surrender,” "I Want You To Want Me” and "Dream Police."